Our own engines and restoration projects. 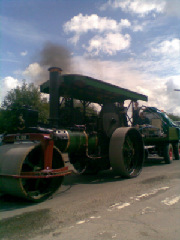 The first engine in our collection is Aveling and Porter AD roller, no. 14174, of 1934. It was new to Bath City Council and was bought as a 'reserve' roller, so never did much work. Consequently the motion/gears, etc. were all in good condition. We have owned this engine since 1989, it attended it's first ever rally after restoration in 1995. 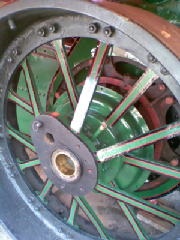 This year, in 2007, the roller was repainted. After not attending any rallies for 4 years, we steamed her to the Kemble rally in August by road, a distance of 30 miles covered in a day. The second engine to join us was 7HP 'S' type Marshall portable. Unfortunately the works number is still to be ascertained. The engine was imported from Chile, South America and purchased by us in 2003. She was overhauled and put back into working condition, which included the manufacture of many new parts. She was rallied for 2 years, but is now undergoing the few remaining restoration jobs, and a re-paint. Pictures will be posted soon. The third engine is another portable. This time a Robey, of 8HP. Works number 38818, built in 1920. She was imported from South Africa in the 1980's, and purchased by a private collector in Chipping Sodbury, South Glos. 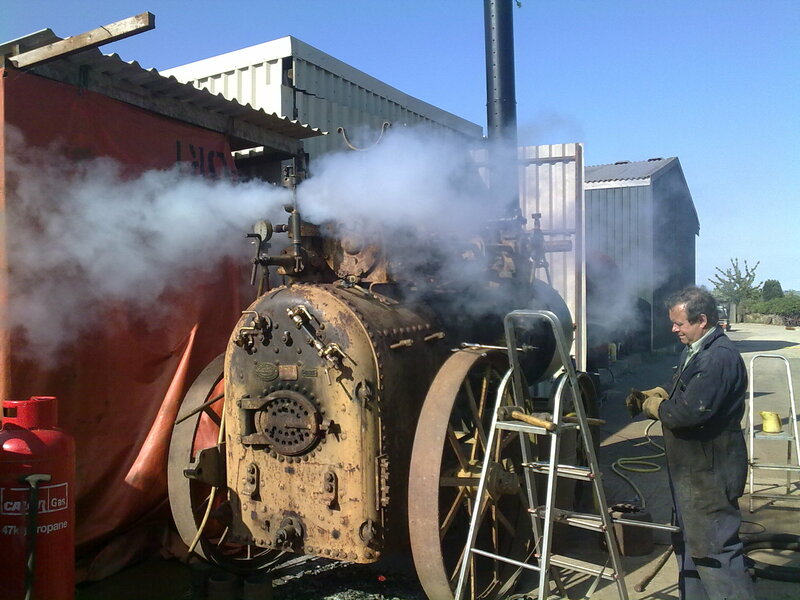 She was purchased by us in 2004, and has been steamed once but is now waiting for restoration to commence. The latest addition to the 'fleet' is another Aveling roller. This is number 10858 of 1924. An 8 ton 'D' type compound piston valve. This engine was exported new to Woolhara Municiple Council, Sydney, Australia. She was repatriated in 2004. Purchased by us in 2004, she is still waiting for restoration to commence. Pictures will be posted as and when this happens. This year we have aquired another engine to add to our ongoing list of projects! 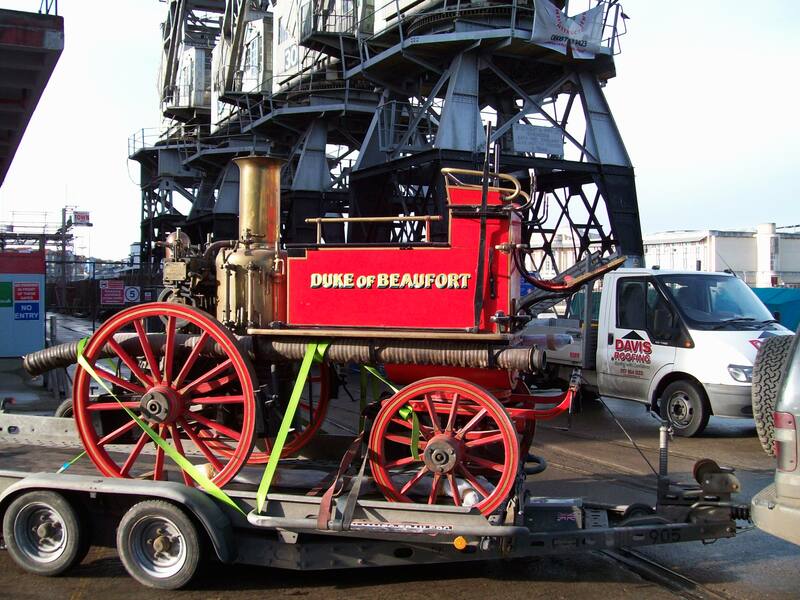 It is a Shand Mason horse drawn steam fire pump 'Duke of Beaufort'. She was new in 1906 and supplied to the Duke of Beaufort's Estate in Badminton, South Gloucestershire. She was used on the Estate until 1939, when the boiler was presumably seperated for inspection and subsequently the boiler deemed beyond economical repair. Therefore she was part exchenged with a dealer for a more modern appliance. In the same year the Engine was purchased from the dealer by Bristol Industrial Museum for the pricely sum of 5 pounds! It remained here until in 2007 the museum began a re-structure and decided that only exhibits that were directly related to Bristol were required in the museum, therefore the fire engine amongst other exhibits were no longer required. In January 2009 we came to a deal with the museum to aquire the fire engine. We live on Badminton Estate so the engine has 'come home'. Unfortunately the boiler inards were never replaced and presumed scrapped so needs to be remanufactured, which is itended for the winter of 2009. Also some other parts are missing in the way of fittings. 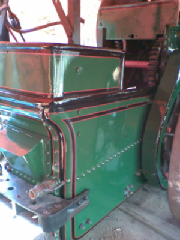 If you have any information or parts etc relationg to the restoration of this engine we would love to hear from you.